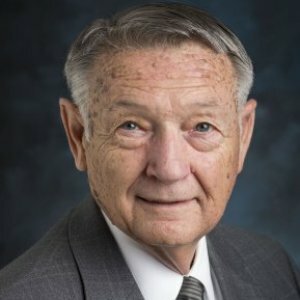 Dr. Oliver has taught business ethics for more than 10 years at LMU. He retired from the corporate ethics office at Northrop Grumman Corporation after more than 20 years as corporate ethics administrator, organizational development specialist, and special programs security manager; and from the Air Force Office of Special Investigations after more than 20 years as a special agent, commander, and director. Oliver, Carl R. "Good News: How Companies Can Hear More Bad News." Compliance & Ethics Professional, 11(20), 2014. Oliver, Carl. “Unintended Signs: Unobtrusive Measures of National Leaders' Moral Reasoning Orientation and Stage.” Journal of Organizational Moral Psychology, Vol. 2, No. 2, pp. 49-71, 2012. Oliver, Carl R. "Impact of Terrorism, Insurgency, and Other Human-Caused Catastrophes on Pivotal National Leaders' Vision Statements." Journal of Adult Development, 14, 2008. Oliver, Carl R., and Daly, Frank. "Encouraging Internal Whistleblowing (And More)." Markkula Center for Applied Ethics, Santa Clara University, 2007. Oliver, Carl R. "What's Right? Redesigning Business Ethics." OD Practitioner, 39(1), 2007. Oliver, Carl R. "Bringing Employees On Board With Ethics." BizEd, 5(6), 2006. Oliver, Carl R. "Catastrophe's Impact on Leaders' Caring and Justice: Changes in Moral Reasoning Orientation." International Journal of Leadership Studies, 1(2), 2006. Oliver, Carl R. "A Psychological Approach to Preventing Computer Abuse--A Case History." Computer Security Journal, 3(2), 1985.